October 1, 2010 - Jeppesen, working in coordination with technical support partner DW International, now offers the “Jeppesen FlitePlan RNP Predictor” tool for commercial aviation and business and private aircraft operators. The new service allows operators to switch from using traditional ground based waypoint routes and procedures to implementing real time GPS based required navigation performance (RNP) operations. Using RNP procedures allows airlines to operate more efficiently by flying more precise approaches based on satellite data, which reduces overall fuel consumption and emissions output and mitigates aircraft noise impacts. The new RNP solution improves upon Jeppesen’s pioneering receiver autonomous integrity monitoring (RAIM) prediction technology, which provides predictions of GPS satellite availability and assesses the integrity and accuracy of GPS-based navigation signals. 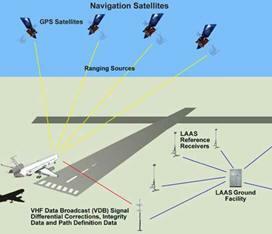 The Jeppesen FlitePlan RNP Predictor computes a prediction report of the aircraft’s Actual Navigation Performance (ANP), considering factors such as aircraft type and configuration at a particular time and place, given current GPS satellite status information. The new RNP tool also enables both regional and international operators to comply with all FAA, European, ICAO and other global RAIM prediction requirements, implemented either as a stand-alone service or integrated seamlessly with commercial flight planning systems. By using the Jeppesen FlitePlan RNP Predictor, pilots accessing GPS satellites for navigation, rather than ground-based radio signals, will make more precise approaches to runways and will spend less time waiting for clearances at increasingly congested airports. For more than 75 years Jeppesen has made it possible for pilots and their passengers to safely and efficiently reach their destinations. Today this pioneering spirit continues as Jeppesen delivers essential information and optimization solutions to improve the efficiency of air, sea and rail operations around the globe. Jeppesen is a subsidiary of Boeing Commercial Aviation Services, a unit of Boeing Commercial Airplanes. DW International is an independent consultancy which provides technical support in the fields of air navigation, civil air communications and air traffic management. The company also develops and maintains software and manages websites that support air operations. Formed in 2005, DW International has rapidly become the world’s foremost supplier of RAIM predictions to the global aviation community and continues to develop a range of solutions for complete PBN implementation. DW International is closely involved in the development of future CNS/ATM policy and standards and maintains a high profile on a number of panels and working groups supporting ICAO, EUROCONTROL, EASA and are actively involved in the Civil GPS Interface Committee.